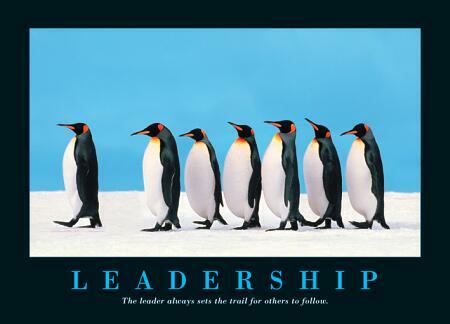 I’m sure that you’ve all read a book on leadership or committed to a leadership training course. We all must learn to be great leaders in our business and personal lives to be successful. In my life I need to be a leader to my employees and clients which involves encouraging, managing and educating. In my personal life I’m a father – and let me tell you, that is the toughest leadership role there is. But, leadership in this context is more focused around management. What I’d like to remind you now is to focus on true leadership. By that I mean leading – be the first, be a trailblazer, pacesetter – a true pioneer. In the online world we sometimes forget to be a leader because the internet world moves so quickly and the landscape changes daily. It’s sometimes impossible just to keep up, let alone be the first. This is where I’d like to help and tell you that it’s “ok” to stop being a follower and start being a leader – a trailblazer. Be the first to try new things. Don’t be afraid that the idea or technology is not proven. Empower your employees and assign them different things to try. Experiment with new technologies. But remember, you’ll get out of it what you put into it. You need to stay committed if you ever expect it to pay off. Blogging is a good example. I started blogging years ago and have started and scrapped several blogs. I’ve failed for several reasons but mostly because I wasn’t committed. It’s not because it’s a bad idea and blogging is not effective. It’s because I didn’t stay the course. I was not a leader. We meet a lot of people that want a website obviously (Website design is one of our core services) but most have no idea how they’re going to get people there. They’re just busy following. Everyone else has one so they feel that they need one too. Then they don’t see results and write off their website as a secondary marketing vehicle – or worse yet – give up on the website all together. An obvious solution to this problem would be fully committing to the promotion of their business online and properly planning for an SEO campaign. 99% of most websites don’t rank properly because people are not properly committing and leading. They’re still running expensive newspaper ads or radio because that’s what they’ve always done, instead of hiring an experienced SEO company to rank their website properly. LEAD! Beat your competition to the punch. Just like the martial arts. You’ll never beat your opponent if you’re not faster, smarter and committed to striking first. Lastly, I’ve started dabbling with Twitter and other social media avenues. It’s tough to get started and get some traction but this could easily turn out like my past blog efforts. I’ve seen it work. I know that Twitter can be a valuable marketing tool. I MUST stick with it. It certainly CAN work but you have to stick with it and LEAD! Be a leader in your niche and the results will pay off handsomely. As you can see, even with my 15+ years of experience online, I’m not perfect. I’ll never stop learning and trying to improve and this post is just as much advice to myself as it is to you. Just remember to think outside of the box. Keep up on trends and technology and be the first to succeed before your competition catches up. Most of all, commit to your efforts. Provide the proper funding, time and effort to be successful. The only reason you’ll fail is because you didn’t plan and you didn’t just stick with it. Do this and you’ll lead your business and life to the next successful level.